Stay connected with your friends and family with the various technology features available in the 2018 Audi A5 Sportback. Our team here at Audi Lubbock are excited to present some of the features of this popular luxury car. 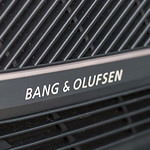 With 19 speakers and a 16-channel amp, your music can be listened to at a whole new level when you select the Bang & Olufsen sound system. The MMI touch system gives you an interactive touchpad that can be used during navigation and entertainment controls. You can even write out your entries with the handwriting recognition feature for a whole new way to control the display. We invite you to visit our team and see what other features are available on the 2018 A5 Sportback. Our team can answer your questions and set up a test drive in Lubbock, TX today. See Our Audi A5 Inventory!